Disney·Pixar's hilarious short film Lifted, directed by veteran sound designer Gary Rydstrom, was released theatrically with Ratatouille in 2007. 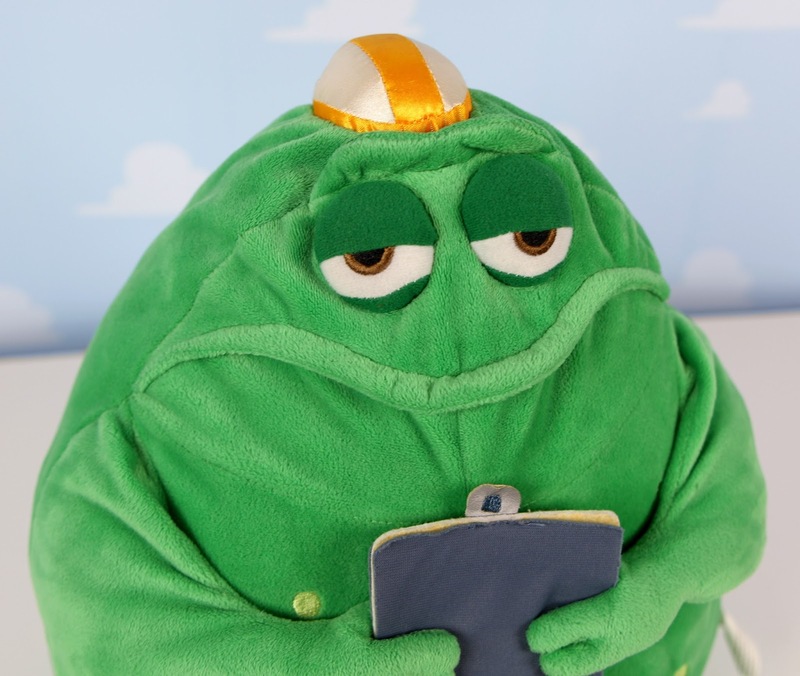 If you've seen the short, then you probably recognize this guy— Mr. B, the film's jaded human abduction examiner. 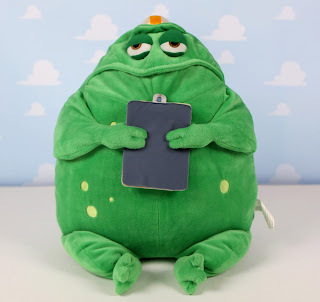 This Mr. B plush toy had been available for years exclusively at the Pixar Studio Store in Emeryville, CA (open only to Pixar employees and invited guests), but at this point I'm not sure if it's still kept in stock there. Either way, this is an extremely rare item that I had been trying to track down for some time. Needless to say, I'm so thrilled that this treasure is finally a part of my Pixar collection! 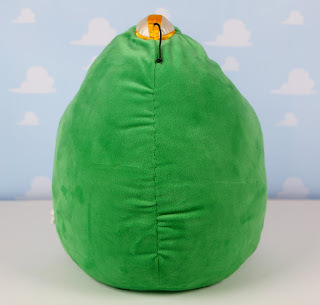 This one does pop up on eBay pretty regularly, but the price is always incredibly steep (even too steep for me to pay for just a plush) and/or the plush is discolored or worn. Listings for this typically sell between $75 and $100 (sometimes more), so I always had a hard time justifying getting him. That leads me to the best part of the story...just last week a listing popped up for, get this: $15.00-Free Shipping-Buy it Now. No joke. I snatched it up as fast as I possibly could. Other than the fact that the one I have here is missing its original tag, this plush is in near perfect condition. I absolutely love it! I especially love how big and hefty it is, measuring at about 17" tall and 11" wide. He's also weighted down nicely (feels like there's mini beans inside) and sits great on his own without the need of additional support. 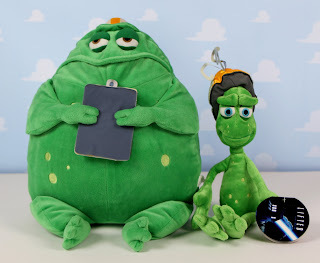 Stu, the teen alien seen struggling with his human abduction test, was also made into a plush sold only at the Pixar Studio Store. I was lucky enough to get him about three years back (see my original post HERE). Here they are both together at last! What do you think? Shout out your thoughts in the comment section below!